As opposed to a rational disbelief, as he claims, it looks instead as if Hawking had an emotional, angry reasoning behind his rejection of God. 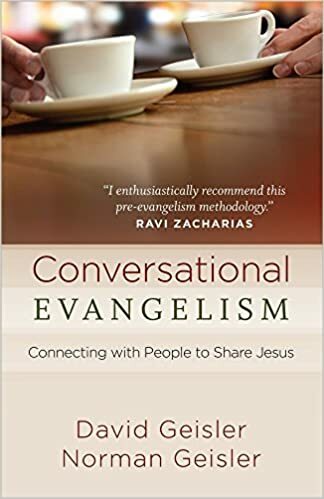 But to echo K on building relationship and conversations that might be used by God to bring people to faith - or at least to sow some seeds that might one day germinate, I can't recommend the following book enough! Apart from reading that book, what's the best way to bring people to faith / plant a seed ? (vi) Dazzle them with spiritual super-stories ! - Downside: There's a chance you may put them off the subject forever or even distract them from the original intended purpose. (vii) Become a Master Evangelizer, take cue's from the Holy Spirit, treat each person according to their current situation / circumstances, use impeccable timing, then STRIKE when the iron's hot, SPEAK the right words at the right moment and Kaboom !!!!! Saved ! - Downside: None, Delivers the best results with no deleterious side-effects. Fear of hell CAN NOT be the driving force to bring someone to God. Sounds too much like a "ends justifies the means" view. One can desire to avoid hell - can even fear it. But that's only a motivation to avoid something terrible. However, it can be a catalyst that motivates one to seek and consider God, and learning about Him and beginning to love and desire Him. But as for fear ALONE? No, that won't save anyone! Pray to God to give you wisdom. Well, Bible tells us to be example to others as we live our daily life. So you live your daily life bravely with all the burdens along the way and people watch you. You never know what this can cause in others. Leave it to God. Amd if you are to approach people, pray for wisdom.